The release this month of the film Gauguin-Voyage de Tahiti, with Vincent Cassel of Black Swan fame in the lead role, coincides with a hugely important exposition of Gauguin’s works at the Grand Palais from 11th October through to 22nd January 2018. The exposition Gauguin L’alchimiste was organized in collaboration with the Art Institute of Chicago, the Orsay Museum, and the Orangerie. This retrospective of 200 of Gauguin’s works of art– including 60 paintings, 30 ceramics, 30 sculptures in wood, 60 prints and 35 designs– is the first exhibition of its kind to study in depth the various creations of Gauguin. Gauguin’s life was a history in drama from his early departure, aged not yet two, from Paris to Peru to his death on Hiva Oa, a Polynesian island. He was born on the 7th June 1848 in Paris, the son of Clovis Gauguin and Aline Chazal. Two years later the family moved to Peru. Clovis unfortunately died on route and Aline with her two small children arrived in Peru a widow. They were welcomed with open arms by Aline’s paternal granduncle and for the next five years until the family fell from political favor, Paul led a privileged life. 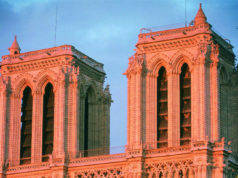 Once more back in France, Aline took work as a dress maker in Paris and Paul remained in Orléans with his beloved grandfather. Aged 14, Paul entered the Loriol Institute in Paris, a naval preparatory school before joining the Merchant Navy and traveling extensively. By 1871, Gauguin was back living in Paris and working as a stock broker at the Paris Bourse. He lived at 15, Rue de Bruyere in the 9th arrondissement where he became close friends with Pisarro and became deeply involved in the Impressionist movement exhibiting in several Impressionist exhibitions. 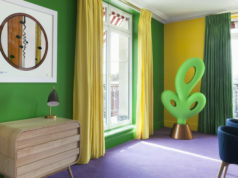 He soon moved to the Vaugirard district to 8, Rue Carcel to a house with its own studio. Gauguin was by now a wealthy businessman and in 1873 married Mette-Sophie Gad, a young Danish woman. They had five children but when the Paris stock market crashed in 1882, Gauguin’s fortunes changed overnight. 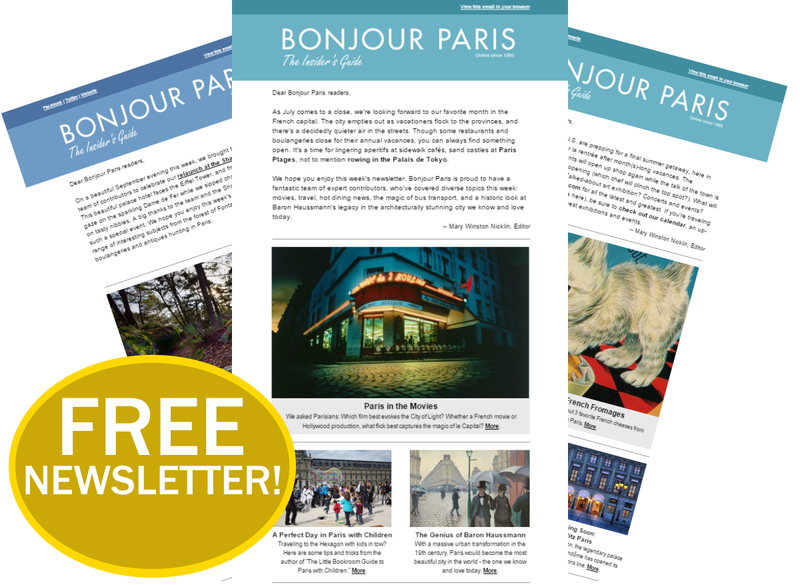 He decided to dedicate his life to art and exhibited once more in the 7th Impressionist exhibition with 11 paintings, a poster and a sculpture. By 1885 Gauguin was back in Paris accompanied by his six year old son Clovis. 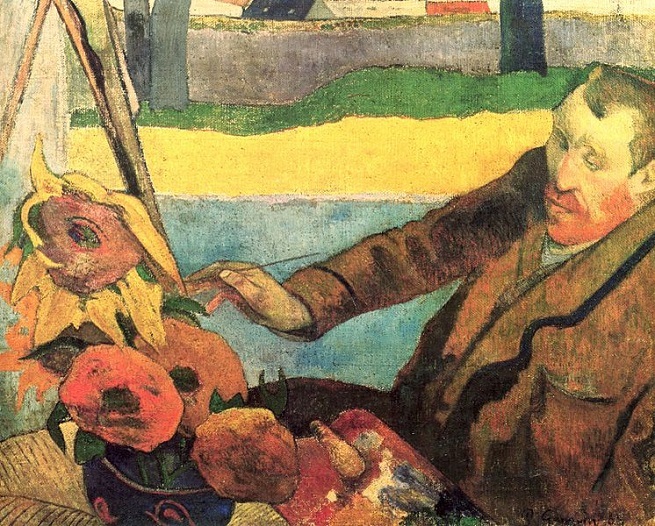 Gauguin, impoverished, still managed to produce 19 paintings and exhibited in the 8th and last Impressionist exhibition. 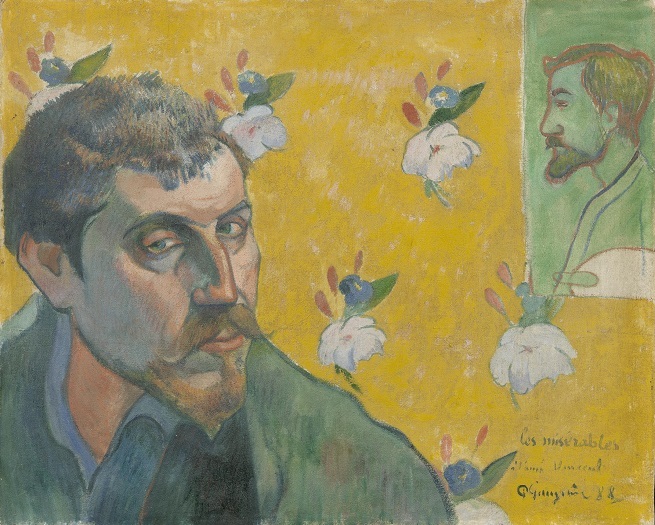 By now his close relationship with Pisarro had ended in bitterness and acrimony, although Degas was to remain both an admirer and friend throughout Gauguin’s life. The artist’s colony in Pont-Aven in Brittany was not only an inspirational place to be but was also cheap to live and Gauguin spent the summer of 1886 there. Degas’ influence on Gauguin can be recognised in Young Breton Boys Bathing but his own style was becoming more defined. Gauguin was starting to be disenchanted with Impressionism and admired Japanese art and a style of painting using flat areas of color known as Cloisonnism. 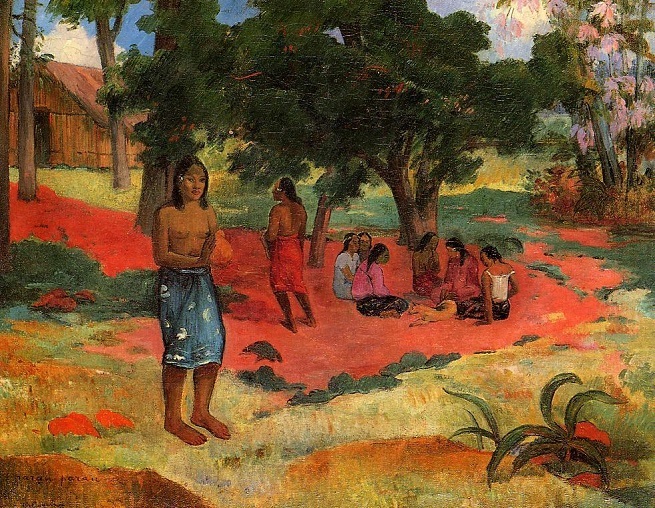 The following year Gauguin visited Panama and then spent six months in Martinique in a native hut where despite contracting dysentery and marsh fever he produced enough loosely painted, brightly colored paintings to be accepted by the Arson Poitier gallery. 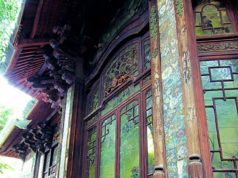 It was here that Gauguin’s paintings were seen by Van Gogh and his art dealer brother Theo who purchased three of them. Van Gogh and Gauguin became close friends and Gauguin joined Van Gogh at his house in Arles for nine weeks. The relationship was to end famously and disastrously. On December 23rd 1888 after a violent argument, Gauguin left and Van Gogh sliced off his ear. Van Gogh Painting Sunflowers by Gauguin, Van Gogh thought Gauguin was mocking him in what he considered a portrayal of a madman painting. After a successful auction of his paintings at the Hotel Drouot, Gauguin had enough funds to set sail for Tahiti on April 1st 1891. It was of course Gauguin’s years in Tahiti that were to finally crystallize his style and make him one of the most easily recognized, world famous artists he is today. 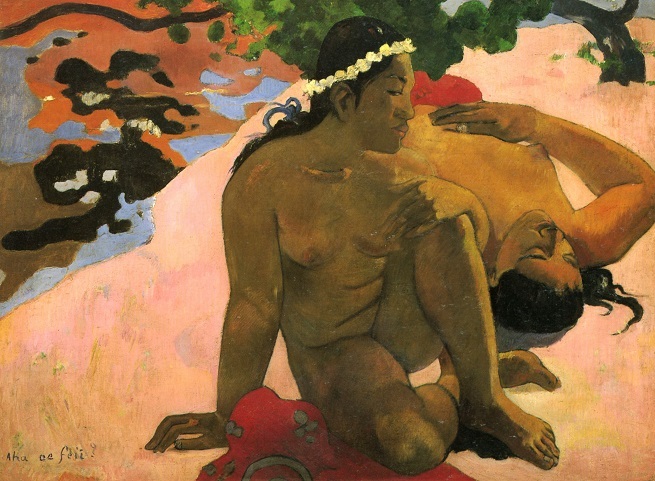 His exuberant use of color, the sensual depictions of Tahitian girls and of the idyllic landscape of the islands, Gauguin claimed reflected the harmony of the universe. Pisarro, his one- time mentor, was unconvinced with Gauguin’s words believing him at heart someone who had never lost his capitalist streak and was simply cashing in on the Parisian bourgeois fondness of the ‘other’. Criticisms of Gauguin were often harsher than even those of Pisarro. He was accused of self aggrandisement, self promotion and self invention; an alcoholic who was often brutish and violent. His teenage mistresses aged 13, 14 and 14 respectively were the sordid reality of his Tahitian ‘paradise’. Gauguin was consequently (and probably quite rightly) blamed for infecting numerous girls with syphilis. He was however, far from the first to contaminate Polynesian life with the worst excesses of ‘civilization’. 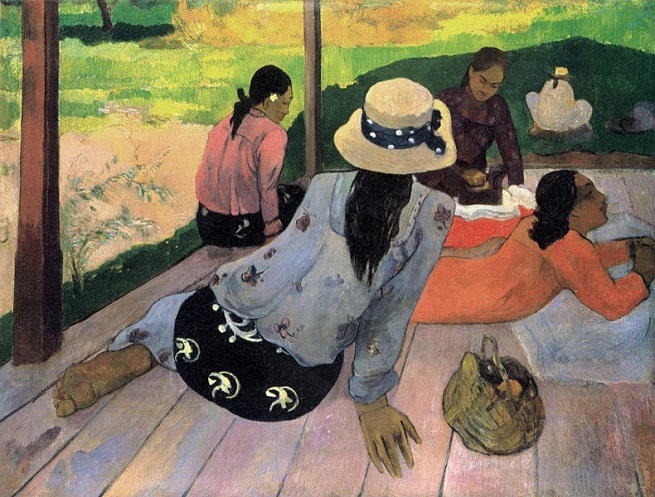 When Gauguin arrived in 1891 he began painting immediately. One of his models was Tehal amana who soon became his mistress. The majority of his works were sent back to Paris and these sales combined with an exhibition of his paintings in Copenhagen, allowed Gauguin to return to Paris in 1893 where he took up residence in Rue de Vercingetorix in Montparnasse. Here Gauguin eccentrically and flamboyantly dressed in Polynesian costume and held a salon for artists. It became apparent however, that a painting from Gauguin living in Paris was not nearly as desirable as a painting from Gauguin living in a Polynesian paradise with the natives. Disillusioned by his lack of success and poor sales, Gauguin returned to Tahiti on 28th June 1895 where he stayed until his death six years later. Once more a steady stream of sales and help from his friends allowed Gauguin to live with comparative ease. His ‘vahine’ (mistress) at this time was Pahura who was aged 14 when Gauguin took her in. She gave him two children, a girl who died and a son she raised herself. When Gauguin decided to move to the Marquesas, Pahura refused to accompany him. Gauguin settled on Atuona on the island of Hiva-Oa in 1901 and built a house named the Maison du Jouir (House of Pleasure). 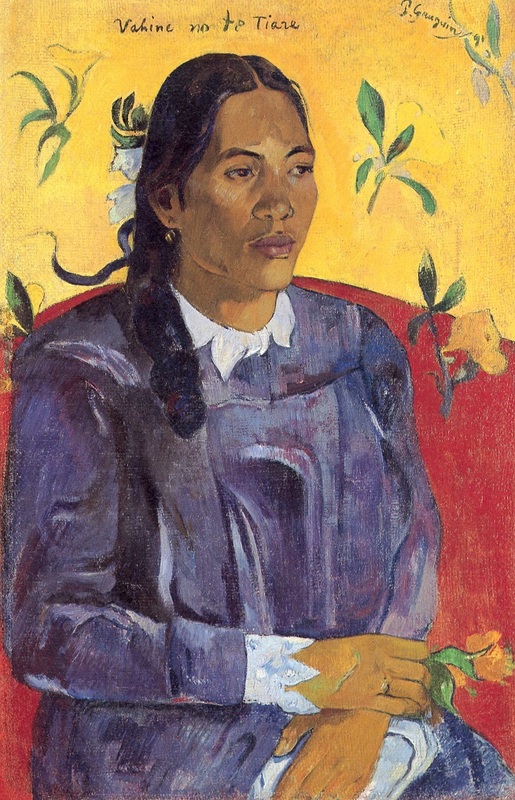 He soon had a new ‘vahine’, Vaeoho, who left Gauguin when she was seven months pregnant in July 1902. By now, Gauguin’s health was deteriorating; his ankle broken in a drunken brawl in Paris, causing him constant pain, exacerbated by his possibly untreated syphilis, he resorted to taking morphine. Paul Gauguin died on May 8th 1903 of a heart attack. He was buried in the Calvary Cemetary in Hiva Oa, Autone. Gauguin’s influence was inestimable. He was Picasso’s unashamed hero and although never having the success and affirmation in his lifetime that Picasso had, Gauguin’s stunning Tahitian paintings are more relevant and loved now than ever. And if auction prices are any indication of talent, then Gauguin’s, When will you Marry painted in 1892, and sold in 2015 for more than 300 million dollars, would have to be all the affirmation he could ever have needed.